Heritage Consulting has developed over 65 stimulating and fun workshops and training programs for our commercial district revitalization and Main Street clients. In the past fourteen years, we have consulted with organizations and government agencies on many issues to make organizations more effective. Here is the 2019 list of workshops and consultations we have developed for clients. Please see our listing of new 2019 workshops and training programs. All of our training programs can be as detailed as you wish: from one hour to a full day in length. We are happy to develop training programs or consultations on other topics to suit your needs. 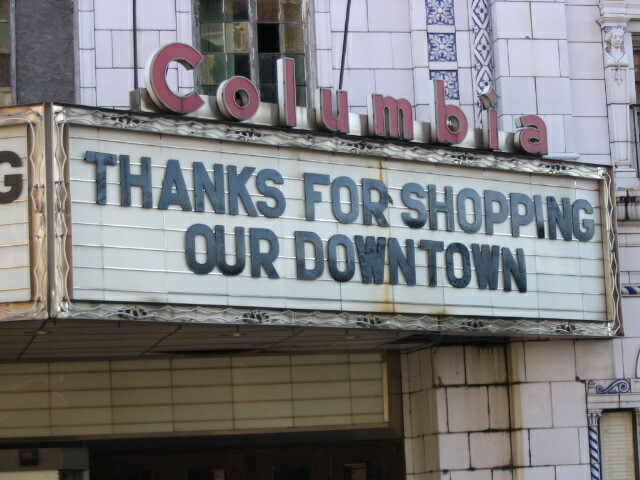 Downtown management organizations, whether using the Main Street Four-Point Approach™ or another organizing methodology, struggle to grow and thrive. We know because we have worked with more than 200 downtown organizations in the last twenty years to advance their agendas and make a difference in their community. At its heart, downtown organizations are about the people who volunteer or manage these critical enterprises and our training programs are designed specifically for them. Our 65 workshops are excellent for statewide or regional conferences, group training or local downtown management organizations. Our workshops are hands-on, engaging and fun. We include several hands-on learning experiences during each workshop, and offer stories from our experiences, and practical solutions that can be used immediately. We prefer to offer peer learning opportunities during these workshops so that the audience can learn from their contemporaries as well as from Ms. Harris. We provide an extensive packet of information for each workshop participant that includes a bibliography, articles, checklists and forms as resources to reinforce the content of the workshop. We ask all participants to evaluate every one of our workshops so we can include continuous improvement in our sessions. I have worked in the Main Street movement for more than twenty years now, and during that time I have found that my consulting, training and writing are now focused on Strategic Planning, design guidelines and fundraising for the Main Street Approach™. I suspect the reason for this is because local revitalization programs are seeking ways to create stable and predictable funding to ensure that their organization remains viable over time. I learned about fundraising the hard way, by trial and error throughout the first fifteen years of my career when I was working for nonprofit preservation organizations. I have started three nonprofit organizations from scratch. For each, I launched a membership or annual gifts program, inaugurated special events/conferences, and wrote many successful grants to foundations and corporations. As the staff or Executive Director for other preservation organizations, I learned about gala fundraising events, board giving, sponsorship, capital campaigns, and government grants. I wrote successful grants of more than $3.75 million dollars from foundations while working for the local preservation organization in Philadelphia. I am a generalist when it comes to fundraising, because I have had to raise money for a variety of organizations, and I actually like raising money and can help your board and staff understand what I have learned. As I began working for Illinois Main Street, I became aware that my nonprofit management experience and fundraising skills were highly useful to the local Main Street programs I served as State Coordinator. I have concentrated on the Organization point ever since. 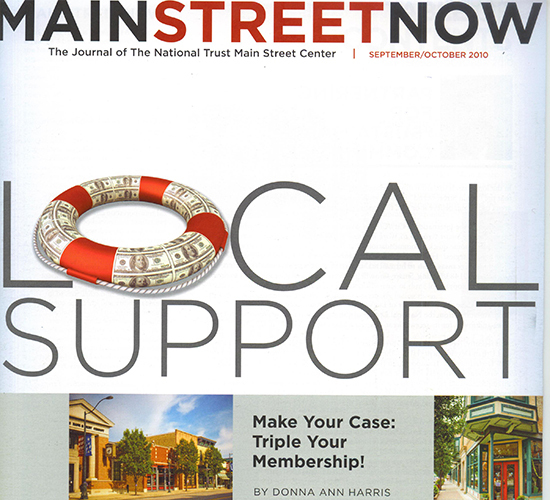 Three of the six feature articles I published in Main Street News in the last 15 years have dealt with fundraising topics, especially membership retention. See a recent article on fundraising here. A recent webinar for the Main Street Center on Annual Gifts came from three articles I wrote for Main Street Story of the Week.